Timber frame homes are becoming increasingly more popular in the UK and Ireland and even countries with wet and harsh climates like Canada and Scandinavia are choosing timber frames as the preferred method of building because of the recognized thermal efficiency. Unlike masonry construction the insulation in a timber frame home is contained inside the inner leaf ensuring that no heat is lost in the block work, making timber frame homes easy to heat, cosy to live in and can result in heating cost savings of up to 50%. 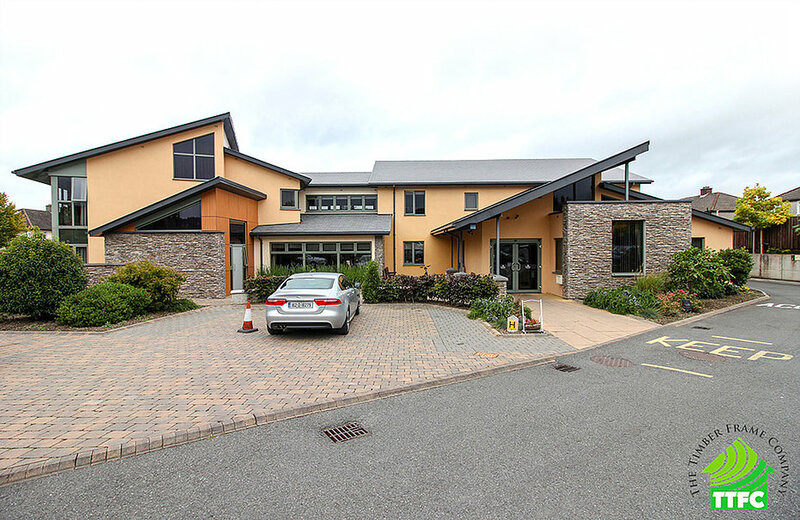 Lisheen Nursing Home – 30,000sqft nursing home in Rathcoole, Dublin. The Timber Frame Company (TTFC) specialises inclosed panel timber frame which are leading the way in the Irish market. Their products offer an advanced solution compared to other off-site solutions with factory fitted windows and doors and all internal boarding. 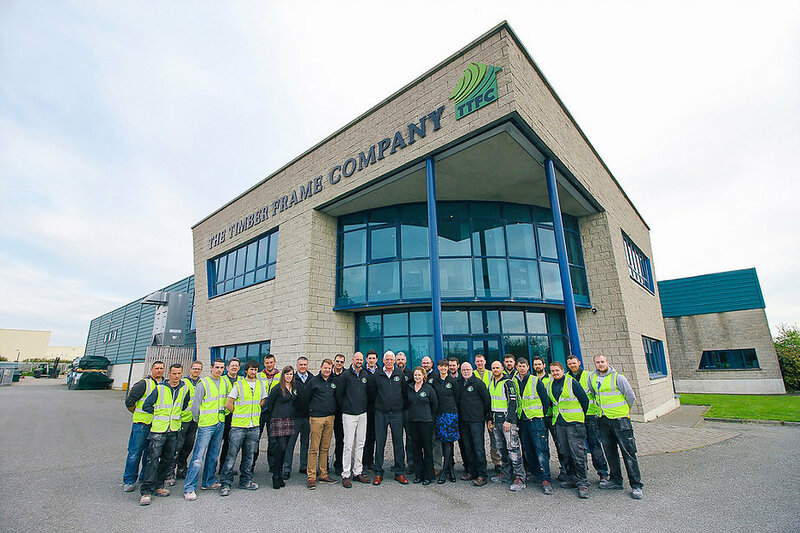 TTFC has grown significantly since its inception in 1999, with a current work force of 40, based at their headquarters and manufacturing plant in Wexford, Ireland and office in Luton. With continued growth in the UK market there are plans for development and expansion in the multiple housing scheme and schools, which will have a follow-on impact of increased staff to meet the demanding UK and Irish markets. Commercial Director James Mason joined the company in 2007, initially in design but then progressed on to manufacturing and has since taken on several key roles. With TTFC steering through the housing crash in 2008 and 2009, James said that their ‘strong work ethic and attitude to doing things right’ enabled them to survive during the difficult times. 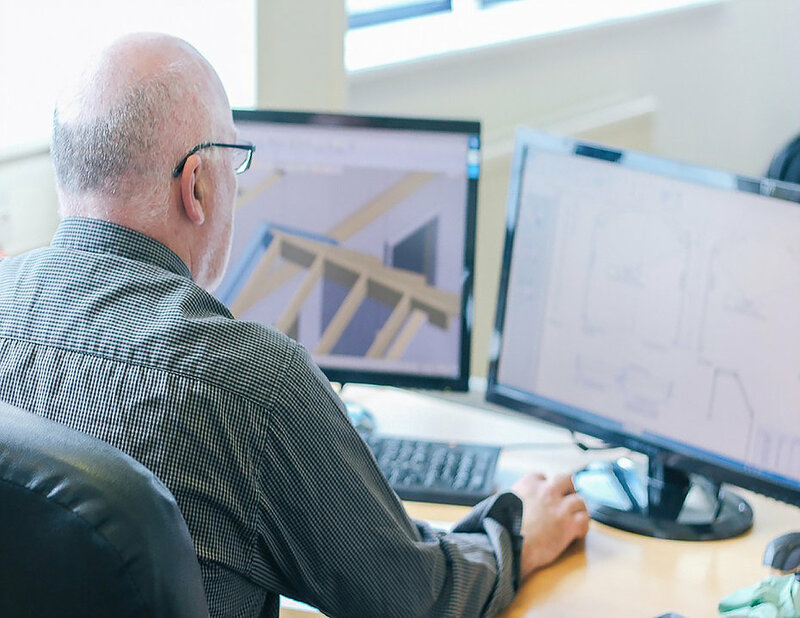 TTFC uses Vertex for design and manufacture of their timber frame units, and James who now oversees sales and estimating explained the benefits he found to the software system. – We’ve previously used HSB CAD during a product development of SIP panels, but found this product and others not as user friendly and the 3D was of little benefit, where as Vertex can produce 3D models of timber structures automatically. – Our company ethos is to focus on customer care and use only the highest quality products which is why we chose Vertex. Another major factor is because it’s a flexible product which adapts to our continually changing business requirements. Having worked with Wates, Baxall, NU living (Swan Housing), BAM, R. Durtnell & Sons, as well as many independent developers and builders, TTFC found that Vertex provided a better customer experience as it allows manufacturing and erection to be accurate and easy. – The 3D model and Vertex viewer allows clients to see any unforeseen problems that may not be visible from standard drawings, added James. – This is crucial to our customers as a lot of issues have been spotted and redesigned without becoming a major problem further down the line. Vertex software enables us to deliver a project from design to build in a simple, time efficient and most cost effective way.